New and recent works by Celia Paul draw on the artist’s delicate and moving explorations of intimacy with people and landscape. Paul’s art stems from a deep connection with subject matter. Her portrayals of people exclusively feature close friends and family members – including her four sisters. 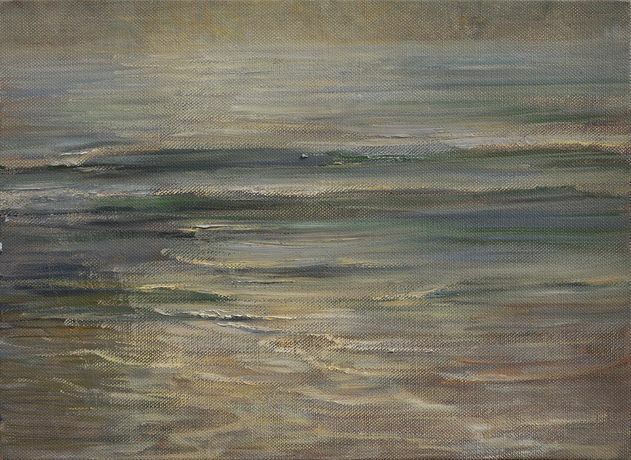 Works on display include a new body of seascape paintings, which the artist has spoken of in terms of feeling 'in flux', as well as a seascape triptych whose approaching and retreating waves represent the past, present and future. The exhibition coincides with the launch of Desdemona for Celia by Hilton, conceived by Paul and the acclaimed writer and critic Hilton Als. This publication follows their collaboration at Gallery Met, New York on the occasion of the Metropolitan Opera’s 2015 production of Otello. The book features Paul’s paintings and drawings alongside a nuanced selection of photographs as well as texts by Paul and Als. The works were shown at Gallery Met in part to evoke the enigmatic literary figure of Desdemona. The human desires and failings her story expresses resonate in this latest evolution of Paul’s work, which is inspired by a continuing conversation between Paul and Als.